Following the increasingly growing demand for cryptocurrencies, it’s becoming more apparent that digital coins are here to stay. Even though users have overwhelmingly embraced the new trend, governments worldwide remain reluctant as there is no central authority or government body to lay down the groundwork for dealing with this new financial instrument (assuming one classifies as such). It may appear easy and convenient for the average user but for a governments to adopt this new method of exchange creates a plethora of matters to tackle. Can this new financial instrument be considered a taxable asset? if yes how will be taxed? Can it be measured as a source of wealth? How will it be presented in accounting records? How to avert money laundering and terrorist financing? Japan has always been cryptocurrency friendly. Following a series of complications and major events such as the hack of the Tokyo based Mt.Gox, one of the largest crypto exchanges, Japan passed in April 2017 new regulations legitimating virtual currency transactions as a form of payment but has yet to define them as a legal tender. Additionally Japan required all digital currency exchanges to register and acquire a license with Japan’s regulator – the Financial Services Agency (FSA). Furthermore, following the hack of Coincheck, an exchange in the process of acquiring a license, FSA increased its oversight operations imposing punishments and halting operations for two exchanges. Japan regulator, recognising the difficulties of supervising cryptocurrencies, came together with the 16 licensed exchanges and created the Japan Virtual Currency Exchange Industry Association (VCEIA) with the aim of creating and enforcing rules and regulations, setting fines and developing the standard for crytpo-related products. Regarding ICO’s, the FSA has issued warnings to consumers about their volatility and government-backed projects require stating clearly the plan for fund distribution. Japan is still fine-tuning its regulatory framework and guidelines and we should expect some interesting developments as it may set the groundwork for other jurisdictions to follow. The British regulator Financial Conduct Authority (FCA) does not regulate digital currencies it does however purview over cryptocurrency derivatives because they are classified as financial instruments and they are required to meet the same anti-money-laundering counter-terrorism standards as other financial institutions, according to the Bank of England (BOE). ICO’s remain a grey area and they will be treated in a case-by-case basis by the FCA. The UK Treasury established a cryptocurrency task force in March this year, comprised by the BOE and the FCA, which has opened up 24 investigations into unauthorized cryptocurrency businesses in effort to determine whether their activities require regulated supervision. The current regulatory regime requires crypto firms to acquire e-money license before operating within the country. On that end several firms call for regulatory oversight and have already offered detailed proposals for licensed cryptocurrency exchanges, brokers and other trading platforms that support both fiat and digital currency related transactions. Overall, the UK regulators are friendly to cryptocurrency but the demand for regulation is evident from all parties involved. China is currently one of the least crypro-friendly regions, treating Bitcoin and other crypto currencies as illegal. The Chinese government has banned all ICO’s and has expressed concerns in cryptocurrency trading and related businesses. Mining in China is still prominent but are authorities are looking into ending the practice. Russian parliament has recently approved a bill classifying cryptocurrencies as a “property value” defining how the coins fit into existing legal structures, following a bankruptcy case involving Bitcoin holdings that divided the Russian legal community. The “property of value” means that cryptocurrencies hold, at least in some sense, an innate economic value which the owner of the currency can exchange for fiat currency. The bill focuses on the Blockchain ecosystem setting rules and regulations on mining and trading cryptos as well as wallet services and ICO’s. However the bill is met with criticism as is seen as hasty response to the bankruptcy case. Despite its comprehensive structure on their sale and trade within Russia, it specifies that cryptocurrencies are not “legal methods of payment” and this causes fears of discouraging the Russian ICO market. This is however a first step in legitimating cryptocurrencies within Russian borders and we should expect more developments soon as the bill is being tested and fine-tuned. Switzerland’s Financial Market Supervisory Authority (FINMA) is known to be one of the crypto-friendliest in the world being at the forefront of crypto regulation and ICO’s. As the “birthplace” of Ethereum, Switzerland’s FINMA was one of the first authorities that developed and set a legal framework around cryptocurrencies. The Swiss’s long history and reputation in all wealth related matters, have created a comprehensive legal structure that has rightly gained for them the title of “Crypto Nation”. The “Start-up Nation” have overwhelmingly embraced ICO’s and Blockchain technology as expected, however the banking regime remained hesitant, refusing, on some occasions to accept money originating from cryptocurrencies. This resulted in legal actions and in one case the Supreme Court interfered when Bank Leuni, the second largest lender of the country, tried to stop the activity of a local exchange. The main concern of Israeli Banks is money laundering via cryptocurrencies, for which the authorities have taken steps to address is by publishing a draft legislation signed by the finance minister. On the first of June a new law including provision for digital asset providers will come into effect, the draft notice is an addition to this new law. The Israeli cryptocurrency community faces the developments with optimism and is expected to attract more investors and boost further the startup industry in the country. Sweden was the first country to authorize trading of two Bitcoin exchange traded notes (ETN) in Europe in 2015 and is currently aiming to be also the first country to issue a government backed electronic currency within the next few years. Riksbank, Sweden’s central bank, revealed plans to launch its own cryptocurrency, e-krona, last November. However the country’s banking community does not share the same enthusiasms as already the country uses electronic means for transactions and is well ahead in becoming the first “cashless economy”. India is another non-friendly cryptocurrency region as is currently taking steps to render their use illegal. The government will “take all measures to eliminate the use of these crypto-assets in financing illegitimate activities or as part of the payment system,” stated India’s finance minister. Germany was the first country to accept Bitcoin as a currency back in 2014 and officially recognized Bitcoin as a legal tender in March. Board members of Germany’s central bank, the Deutsche Bundesbank, have called for effective and appropriate regulation of cryptocurrency and token markets, but stated this must be an international effort in order to be efficient and effective. To that end, Germany takes an active role in the wider discussion across EU decision makers regarding cryptocurrencies and Blockchain technology. It should be noted that even though Germany remains friendly to cryptos and recognizes them as currencies, the authorities issue warnings regarding investing in ICO’s and their volatile market. There is no official regulation or supervising authorities therefor the cryptocurrency industry continues business as usual until further notice. 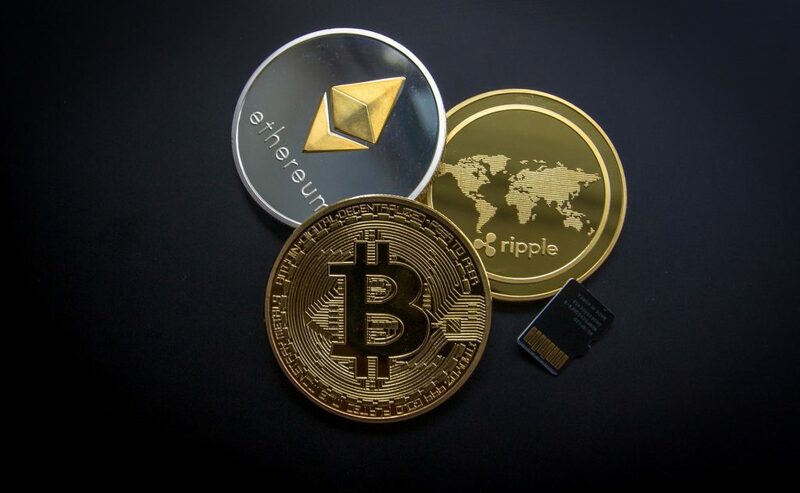 US faces a challenge in regulating cryptocurrencies as the two governing bodies dealing with financial instruments, Securities and Exchange Commission (SEC) and Commodity Futures Trading Commission (CFTC), treat them as different assets, security and commodity respectively. The Treasury Department’s main concern on the matter is the use of cryptos for criminal activities and defines them as money. On the other hand, the IRS says cryptocurrencies are not actually a currency and defined them as property issuing guidelines on how they should be taxed. As ICO’s found a favorable climate by investors within US, making regulation has become a necessity and efforts are made by the authorities to reach a consensus and create a clear and comprehensive regulatory regime. South Africa’s central bank, arguing they do not ‘meet the requirements of money’, views cryptocurrencies as ‘cyber-tokens’ rather than normal currencies, as they do hold a highly volatile value therefore cannot be used as a stable means of exchange. The authorities have not yet taken an official stance against cryptocurrencies, but is clear that the banking institutions do not favor the use of them for transactions. The Bank of France proposed a ban on their use until proper regulations are enacted in an effort to prevent money laundering, cyber-attacks and criminal enterprises. To address these concerns, the Ministry of Economy, created a task force earlier this year with purpose of examining possible regulations in an effort to develop proper legislation. However ICO’s, as investment opportunities, are is met with positivism and AMF, the French regulator, announced a proposal for legislation outlining rules for ICO’s in March. The Italian authorities have only issued a reporting requirement by all financial institutions dealing with cryptocurrencies. The announcement by the Italian tax authority, that the purchases of virtual currency does not generate taxable income and is not subject to capital gains taxes, has only contributed to the use of cryptos by the Italian business community. The attention gathered by an Italian TV show focusing on local Blockchain leaders and specialists who share simplified explanations aimed to grow public awareness and acceptance of Blockchain is a testament to the need for Italian authorities to take action and regulate cryptocurrencies.